VIENNA – OPEC countries failed Thursday to agree on measures to influence crude supplies and prices – a missed opportunity to show the resolve that for decades let them set how much consumers and industries worldwide would pay for gas, heating and related necessities. At the same time, OPEC officials argued that the cartel was alive and well, scoffing at suggestions that its authority was eroding to the point where it will soon be negligible. But the decision to make no decision appeared more an illustration of lack of unity, particularly between OPEC rivals Saudi Arabia and Iran, whose deepening struggle for Mideast supremacy has for years been mirrored at oil meetings. Iran was second only to the Saudis inside the Organization of the Petroleum Exporting Countries in terms of production before international sanctions over its nuclear program crippled sales. Now with a deal in place limiting its atomic prowess, sanctions have been lifted – and Tehran served notice even before the Vienna meeting that it intends to reach or surpass previous levels. The latest figures from the International Energy Agency show Iran making good on its pledge, with output jumping by 300,000 barrels a day to nearly 3.6 million barrels daily in April – the highest since November 2011. One idea at the Vienna meeting that could have allowed for more Iranian production was to abandon a firm production target. OPEC countries had been considering a sliding ceiling that could shift between two benchmarks, both well above 30 million barrels a day. But Iran already put its foot down against quotas of any kind in April. It did not even show up at a meeting between OPEC members and outside producers attempting to agree on a joint output freeze to push prices higher. The Saudis subsequently said they would not cap output if Iran didn’t do the same, dooming the gathering to failure. In part, the OPEC divide reflects growing political tensions between Shiite powerhouse and the Sunni-ruled desert kingdom, regional rivals that back opposite sides in the Syria’s war and the conflict in Yemen. They broke off diplomatic relations earlier this year after Saudi Arabia executed a prominent Saudi Shiite cleric, a move that sparked protests in Iran and the storming of Saudi diplomatic posts. The relationship soured further as the OPEC meeting was underway, with Tehran announcing it would not facilitate sending pilgrims to the Hajj this year because of what it sees as insufficient Saudi security guarantees. Still, with the Saudis used to setting OPEC’s agenda, the main issue between the two in Vienna on Thursday appeared to be oil-related. Since deciding in 2014 to squeeze out outside competition by flooding the market to drive down prices, the Saudis have pumped close to or above 10 million barrels a day – close to a third of OPEC’s total. That, plus resurgent output from Iraq and Iran, helped push down prices, with the desired effect of making shale production increasingly uneconomical. That clashed with Iran’s determination to produce all out – and contributed to foiling agreement on any kind on an OPEC output ceiling. It was clear, though, that the market was looking for at least an attempt by OPEC to show unified muscle. Shortly after the end of the inconclusive meeting, U.S. benchmark oil dropped 88 cents at $48.14 a barrel before recovering. The final statement Thursday mirrored the communique at the last OPEC meeting in December in not even mentioning an output target. That December decision effectively left it up to individual members how much crude to pump and was a strong signal of the cartel’s eroding ability to act as a group to influence supply, demand – and prices. 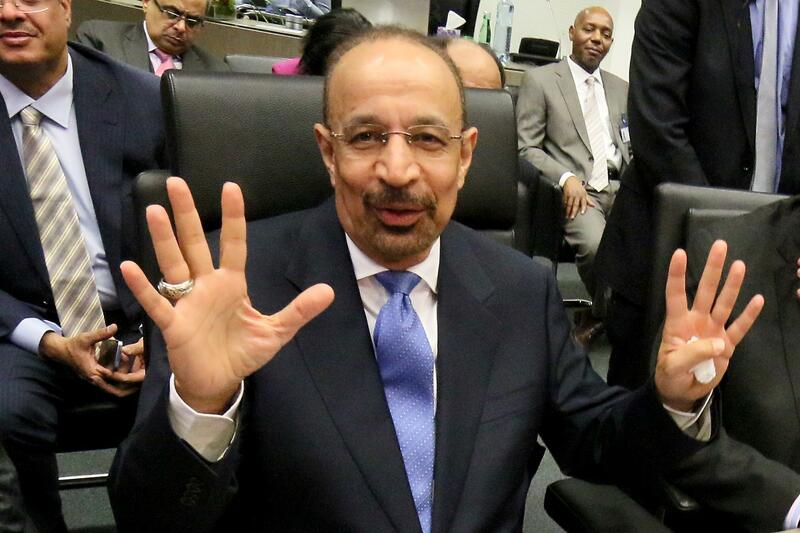 “This should have been an easy meeting to re-establish OPEC relevance but they missed the opportunity,” he said. Published: June 2, 2016, 3 p.m.